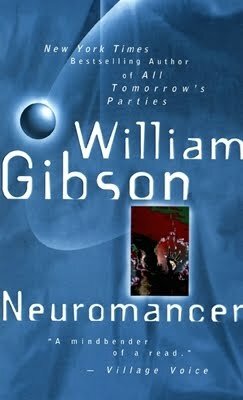 This entry was posted on Monday, February 22, 2016 and is filed under Cyberspace,Neuromancer,Sci-fi,The Matrix,William Gibson. You can follow any responses to this entry through the RSS 2.0. You can leave a response. I think it's cool that you are part of a book club! I hope you continue to enjoy reading the books they suggest! I understand about it being hard for you to get the full appreciation that the novel possibly deserves. Context is the key here! I have always wanted to read this book. I think it's cool that you found a book club to read with. I have never found one in real life (goodreads is the only one). I've asked people I know but no one is interested. BOO! This was actually an established club of co-workers who invited me when they realized I blog about books haha.